"Marguerite was a positive force in my early life. She was always uplifting, a sincere joyfulness charm, a happiness personality, always..."
Visitation for Marguerite will be 4-8 PM Tuesday, August 7 at the funeral home. Services for Marguerite will be 10 AM Wednesday, August 8 at St. James the Greater Catholic Church (4201 S. McKinley Ave, OKC, OK 73109) with burial to follow at Resurrection Memorial Cemetery. Marguerite Brecheen Jimenez passed away on August 3, 2018. Born in Maxwell, Oklahoma on February 20,1922 to Sally Isaacs and Burt Brecheen, she grew up in various Oklahoma towns during the depression. She came to live in Oklahoma City as a teenager and worked in a family friend’s restaurant, El Patio. There she met her husband Frank of 67 years. She moved into Walnut Grove and became an integral part of the Hispanic community and culture that she loved. She raised four children in South Oklahoma City while working at Tinker Air Force Base starting as a “Rosie the Riveter” during World War II. While at Tinker, she was a member of the Federal Women’s Program actively fighting for equal pay and equal opportunity for women. When she was 59, she retired from Tinker and dedicated herself to many volunteer projects including the 1986 Immigration Amnesty Program, developing the SLIAG school at Little Flower Catholic Church preparing over 1000 people to become documented residents, and after seeing the need in the community helped create and manage the Little Flower Clinica. For all of these efforts the City awarded her the “Five Who Care” Award in 1990. 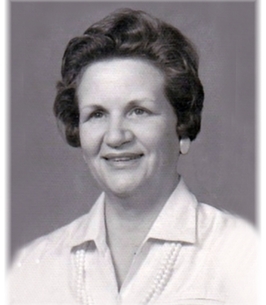 She loved genealogy, writing, sewing, cooking, reading, crossword puzzles, ping pong, traveling, music, picnicking, and spending time with the people she loved. She always began her day with the Psalm “This is the day the Lord has made, let us rejoice and be glad.” The family would like to thank Marguerite’s friend and caretaker Cindy Strother, who helped her enjoy every day. We would also like to thank Norma and Dalila and all the wonderful people at Centennial Hospice. •	and husband Frank Jimenez. •	son Matthew and wife Rose of Oklahoma City. •	many cousins, nieces, nephews, great-nieces, and great-nephews. 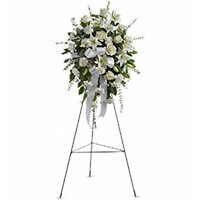 To send flowers to the family of Marguerite Dolores Jimenez (Brecheen), please visit our Heartfelt Sympathies Store. I am so sorry for the family’s loss. There are few words that describe the pain of losing a loved one. May you find comfort however, from the future promise recorded in 1 Corinthians 15:26 which says “the last enemy, death, is to be brought to nothing.” This is an assurance from God and we can be confident he will fulfill his promises. Marguerite was a positive force in my early life. She was always uplifting, a sincere joyfulness charm, a happiness personality, always smiling & laughing, and encouraging to those who needed it. A truly great lady. She had the Lord Jesus in her heart & soul. Larry Dumas Sr. In loving memory of Marguerite, a fine lady. Babe, Trisha, and Rudy: you have our deepest sympathy. Larry & Ann Dumas Sr.